Recently I have written several articles about (Unmanned) and (Stealth) warfare in which there would be none or at best, limited casualties. Obviously none would be the better choice! Now, there is yet another method of warfare in the works. In fact, it has been around for several years but has not been attributed to the military (at least we have not known about it). It’s known as Cyber Warfare. If you have a computer, unless you have been in the Antarctic for 20 years, you have heard about viruses. Those are the nemesis, the arch-enemies, the scourge of of the Internet. They tend to disable your computer and force you to spend time (and sometimes money) to have them removed. I dealt with one laptop user who had in excess of 1,500 viruses – at the same time! It took a week to clear all the problems. Forget the “free download and scan” ads you are flooded with on the TV; soon they will come under scrutiny by the “false advertising” people. They can’t deliver as promised – and they aren’t free (see this article). But, let’s get back to “cyber warfare”. Recently, it has been learned (probably through “leaks”) and has been on the TV news that the United States is conducting subversive “attacks” on computers in Iran (not Iraq) that are being used to process materials that are needed in the building of their nuclear reactors and related capabilities (weapons). Apparently, and through the cooperation of the Israeli government, a virus (named “Flame“), attributed to be the world’s scariest computer virus, was developed with such devastating capabilities that it has virtually halted, temporarily, the Iranian attempt at producing weapons-grade nuclear material! 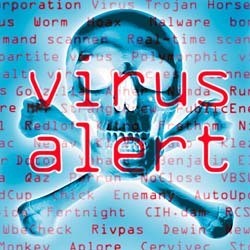 This virus, after being introduced into their “secure” computer system makes the processes seem to be working fine but in fact are corrupting the finished product. One may wonder HOW it was managed to get the virus into Iran’s system in the first place. Well, it was simple but took some time to implement. They “marked” a suitable candidate technician and copied the virus onto a “thumb” drive which he carried into the plant. Once the thumb drive was inserted into the computer the virus migrated throughout the plant and infected all their computers. This caused so much havoc (and the Iranians were not able to find and disable the virus) that they shut down the facility and build a brand new one at a different location! Of course this delayed their production for some time. If you really care, you can read more of the details of “Flame” HERE. Logically, IF “we” found a way (obviously by a different method since this one has been found out) there will be another opportunity at the new facility to further stop or at least, delay their production of nuclear weapons. Hopefully, by using these methods, use of weapons of mass destruction can be curtailed or stopped, without a lot of bloodshed (Iran has probably “ended the career” of the techie who unknowingly carried in the virus-laden thumb drive!). This brings forth an interesting perspective — those weirdos who have been plaguing us for many years from their development and release of viruses, Trojan horses, malware and similar irritants upon the general population could have their “talents” (perverted as they are) employed by the government and probably earn a large compensation in return. I’d rather see them applying their skills against those governments who don’t like us and are bent on destroying us! By the way, the KingsWay Ministries WEB site was hit by another attack this week, just two months since the last one. Fortunately we discovered it the same day it was deployed and were able to “disarm” it without any significant damage to the site.